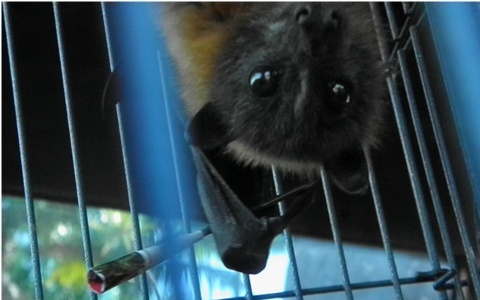 In recent months there has been a spate of deliberate acts of cruelty towards bats on the Gold Coast. These acts seem to have coincided with the sensationalised articles from our favourite fish wrap the Courier Mail and GC Bulletin. 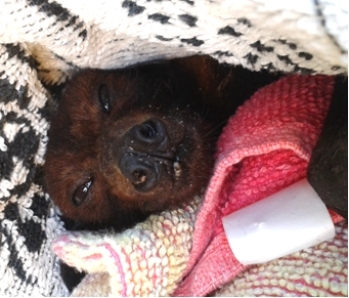 BatsQLD members were involved rescuing in two of these cases; Cherokee (Shot with a blow dart) and Peter Sterling (Shot with a .177 calibre air rifle). Tulip was an orphaned baby rescued from Esk. I got the call late afternoon and went to check. I saw the mother high up in a tree looking down and the baby was just hysterical. Seemed like a perfect reunite so I fed the baby, gave it a mumma roll tied to a branch where the mum could easily land and as I was on the way to Long Grass decided to leave the two to get together after dusk. The baby was calm by this stage and there was a helpful caller who would keep an eye on the situation who advised me that there was some altercation with dogs which is why they separated in the first place. 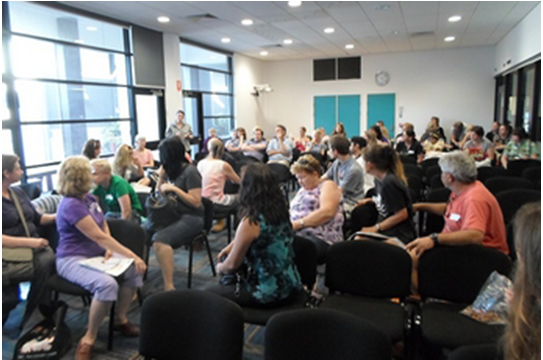 10pm I called to see if the mum was with bub. Sadly no and bub was screaming. Yes you guessed it back in the car for the trek to Esk to colect Tulip. Next day passing Esk on my way back to Batavia the mum was still up the tree fairly obviously injured by her altercation with the dogs and unable to fly. She had not moved. Such a sad situation but I was comforted slightly by knowing how pleased mum would be to not hear her baby screaming. 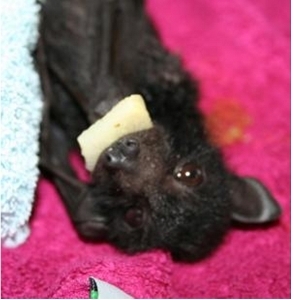 It's not too late to help - visit - dontshootbats.com to find out how you can help and for more information on bats. 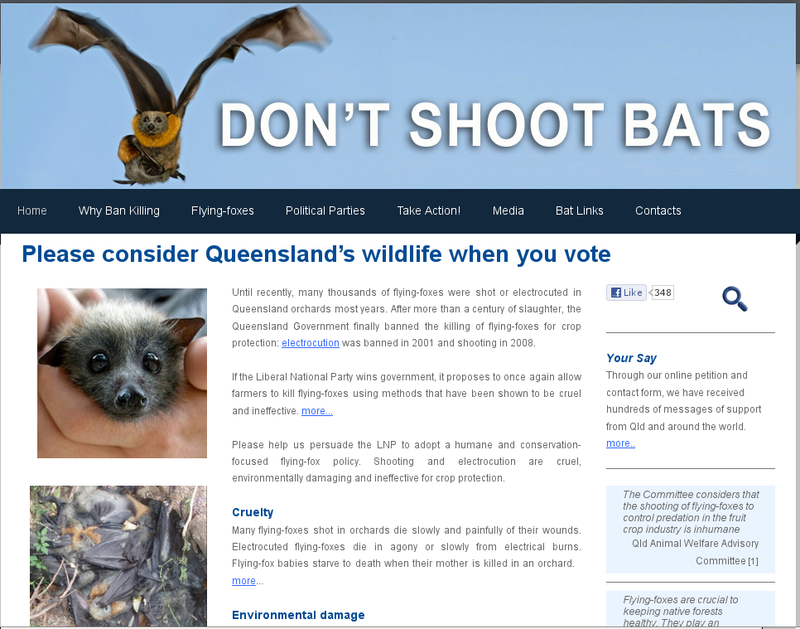 Unfortunately LNP has announced plans to shoot bats instead of following progressive ways that actually work. Let your pollies know that these bad old ways are no longer acceptable.